If you are thinking of building a house or making renovations to your home there are some important new consumer protection measures that apply from 1 January 2015. Insurance or guarantees they offer. Maintenance of the building work. Also from the 1st of January a new 12 month ‘defect repair period’ (where the contractor must fix any defects they are told about — unless they prove the problem is not as a result of defective building work) will apply along with new ways to take action when the implied warranties in the Building Act 2004 have not been met. Contractors can be fined if they don’t comply with the checklist, disclosure and contract requirements. Check to make sure information is up to date. Contact Consumer Affairs by visiting their website http://www.consormeraffairs.govt.nz/about-ca/contact-us to check that information is up to date. 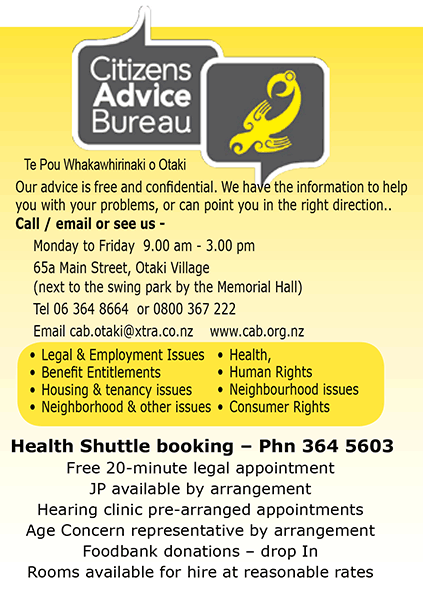 For further information and assistance, visit, call or email your local CAB.